If you're having a party, you'll want to get a pair of these in position before all the guests arrive, and make a really impressive entrance to your home. They'll instantly transform the appearance of any garden or property. Attractive Bay Tree standards can be paraded formally in pairs beside a doorway or next to a flight of steps. Alternatively use these swanky lollipop trees on their own to create stylish focal points around the garden or in containers on a patio or terrace. Do remember of course to always keep them within easy reach of the kitchen door for your own supply of fresh bay leaves to flavour your home cooking! 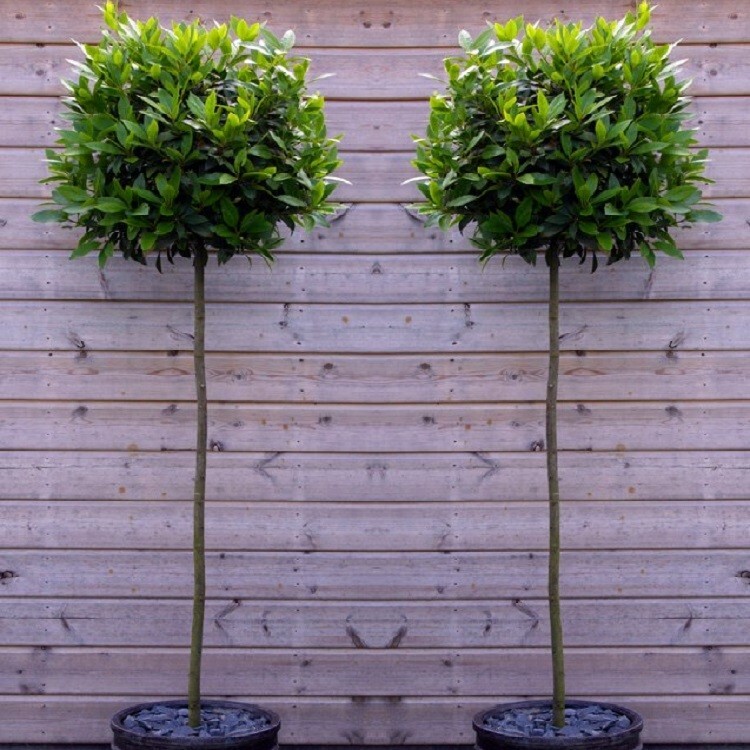 Two Full Standard Bay Trees, supplied as a bushy approx 30/40cm diameter lollipop head on an approx 100cm stem.